< p>When author and theologian John P. Burgess first travelled to Russia, he was hoping to expand his theological horizons and explore the rebirth of the Orthodox Church since the fall of Communism. But what he found changed some fundamental assumptions about his own tradition of North American Protestantism. In this book, Burgess looks to Orthodoxy to help the North American Protestant church—which has seen membership decline to below 50% of the population for the first time—find new ways to worship, teach, and spread its message. He considers Orthodox rituals, icons, the attention to saints and miracles, monastic life, and Eucharistic theology and practice. 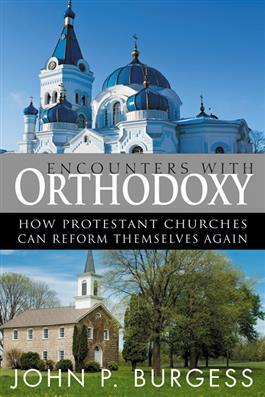 He then explores whether and how Protestants can use these elements of Orthodoxy to help revitalize the mainline church. Burgess helpfully demonstrates the ways in which Orthodoxy calls us back to what is most important in Christian faith and life.